Suitable for: Gas, Induction Hob, Vitroceramic Hob, Oven and Electric Hob. 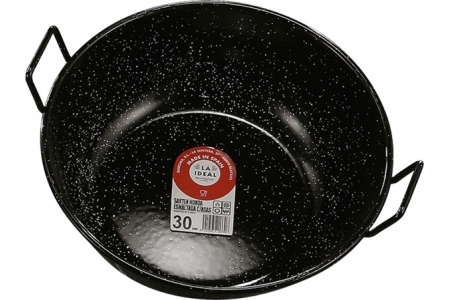 Our Deep Enamelled Steel Pan with Two Handles is ready to cook with any kind of fire, like timber, charcoal, or gas. Our wide range of sizes allows you to cook from "tapas" for small groups, to catering for big groups. 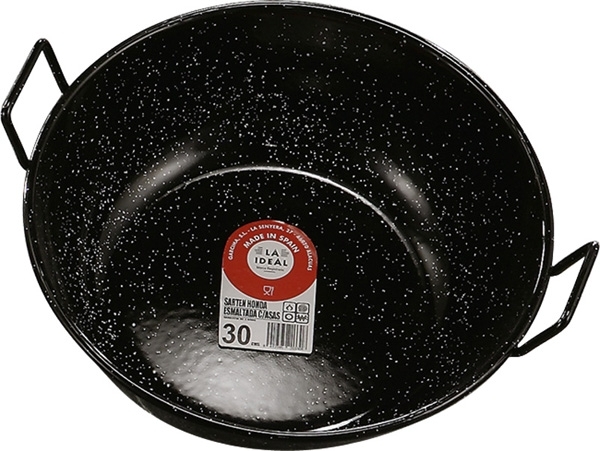 This deep enamelled two handled paella pan has a capacity of 4'25 lts.